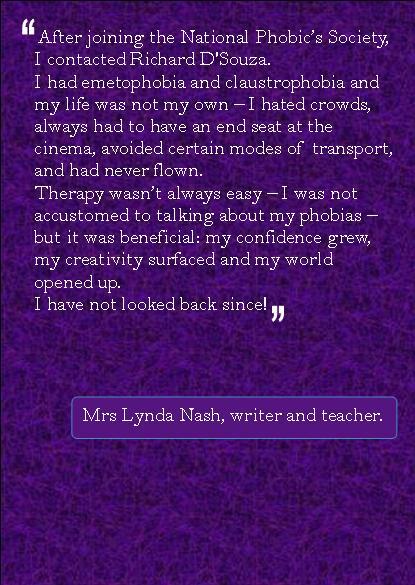 With The Advertising Standards Authority frowning upon anonymous testimonials because of the potential for the material to be fabricated, I have (voluntarily) chosen to remove those testimonials given by previous clients who wished to remain anonymous. 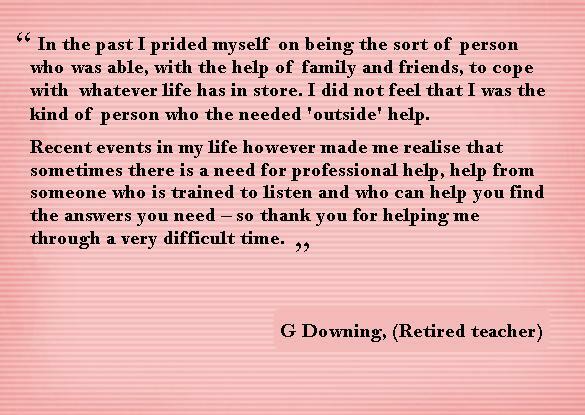 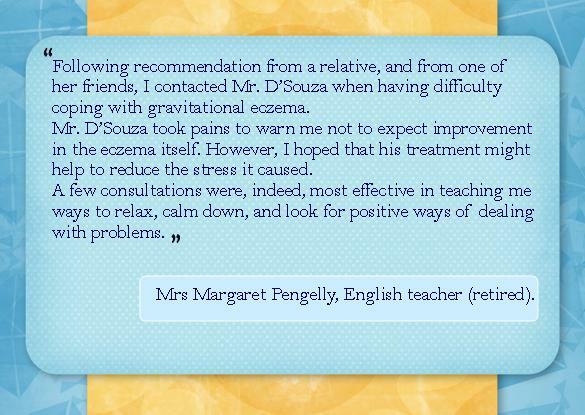 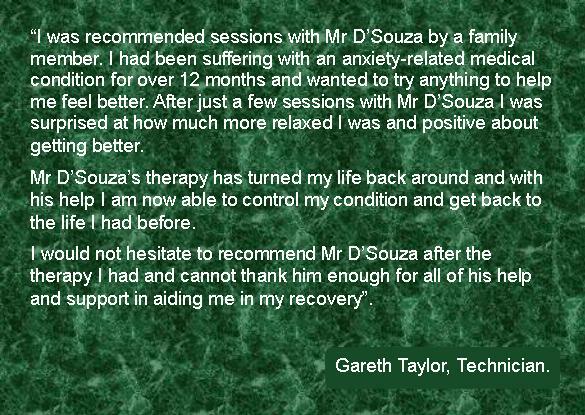 I am grateful to all those patients who have acknowledged my help in this way. 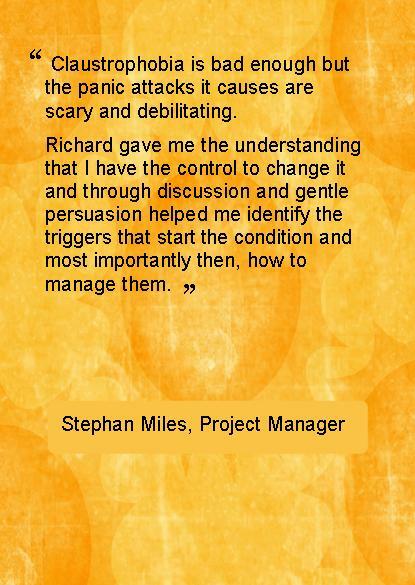 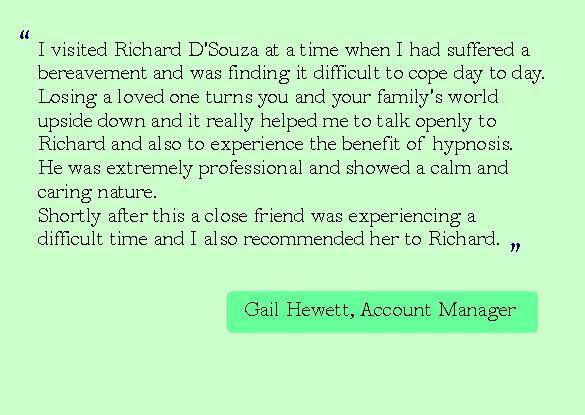 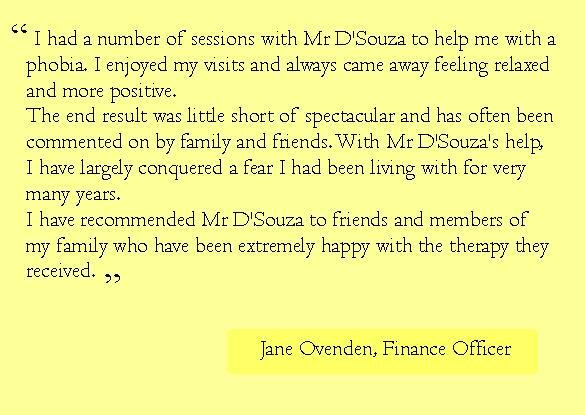 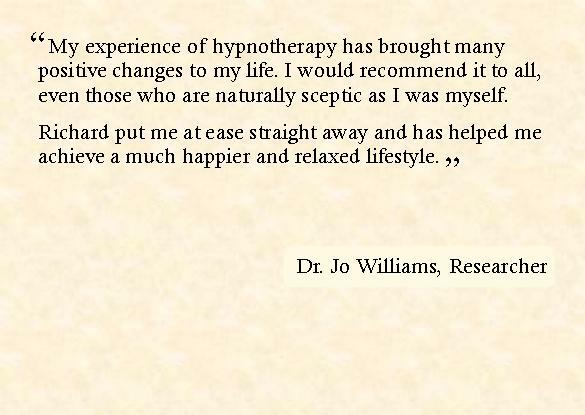 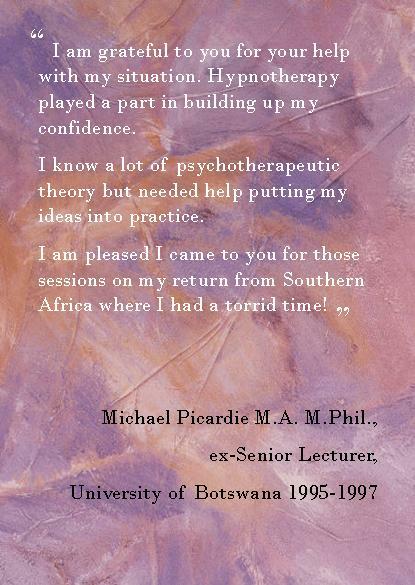 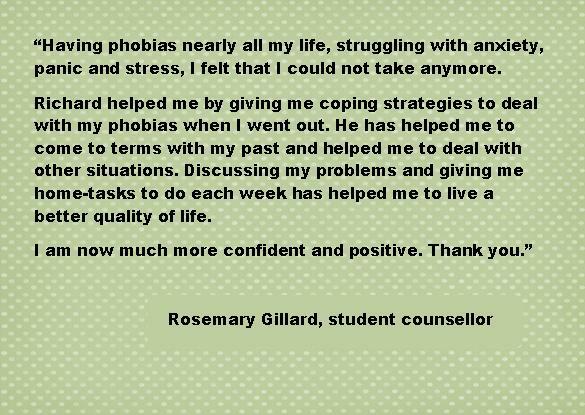 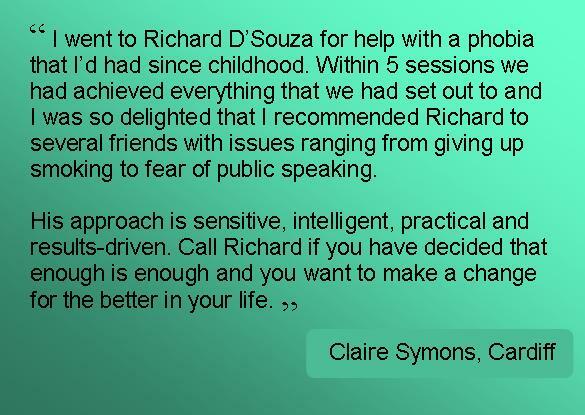 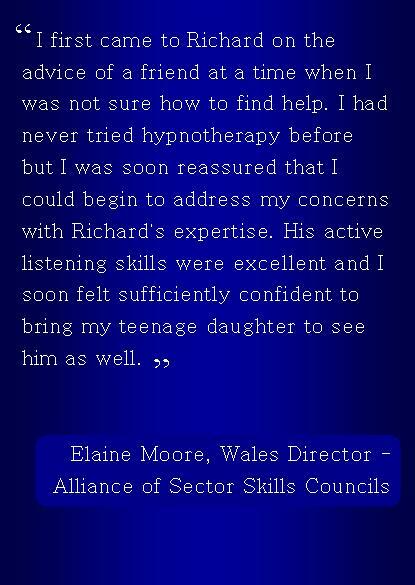 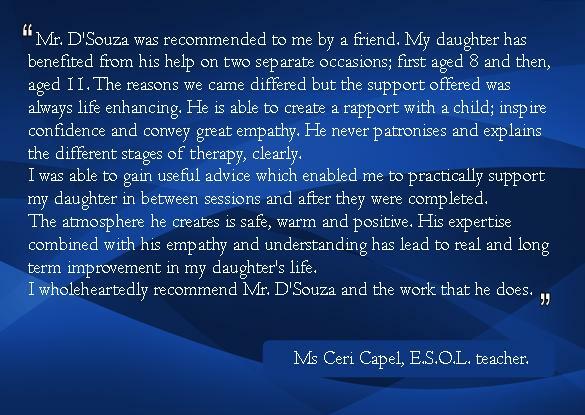 These genuine testimonials are from previous hypnotherapy patients in Cardiff who wish to credit my help with their personal details and have agreed to forgo their confidentiality.